Does your driveway have Potholes? Cracks? Puddles? Broken Edges? Is it Muddy? Are you tired of moving stones and gravel? A word of thanks to your crew for a professional job. Your Super is a proud man. Also, a thank you to you for being the salesperson you are with your honesty and sincere demeanor. Many thanks! Wanted to write a 5 STAR review on your site, So, please offer mine and Jodie’s sincerest thanks and gratitude to yourself and the boys! 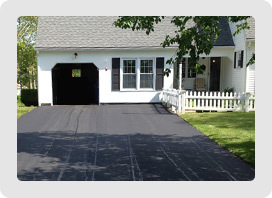 I truly enjoyed watching how our driveway went from absolute crap to an amazing change… As I said as I was watching them, they are truly “Artisans of Asphalt” – absolute craftsmen. Each of their personalities complimented the other to include their skills of switching operators on the equipment – one was as good as the other. A lot of compliments on the new driveway from the neighbors and we are absolutely more than satisfied. We appreciate your timeliness in getting back to me with a quote – your follow through with scheduling the appointment as well as your physical presence during the process for a period of time and the taking of time to provide the care package at the end to ensure we were satisfied with no rushing out the door. Your professionalism and attention to detail is a compliment to the company. Awesome company and terrific personnel – THANKS EVERYONE! Thanks for the nice job. The driveway looks great! I want to extend our thanks to you and the Northeast Paving crew for the fine job you did paving the Riverfront Children’s Center parking lot. The lot is now safe and attractive for our families, children and staff and makes a much better first impression for our visitors. A huge change from its ‘before’ state! State of CT Certified W.B.E. 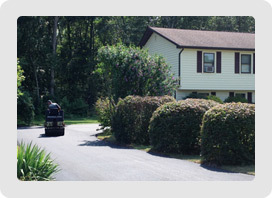 © 2015 Northeast Paving, LLC. All rights reserved.